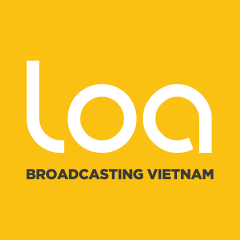 This edited article by Lilly Nguyễn is from Loa, a news website and online radio project of Viet Tan that broadcasts stories about Vietnam. It is republished by Global Voices as part of a content-sharing agreement. Professor Phạm Minh Hoàng learned earlier this month that Vietnam’s president had decided to take away his citizenship. The 61-year-old, who holds dual French-Vietnamese citizenship, is a prominent blogger who writes about human rights, social justice, and corruption in Vietnam. He’s a member of the pro-democracy party Việt Tân. Hoàng was interviewed from Saigon by Loa’s contributing reporter Lilly Nguyễn before the professor was arrested and exiled to France. Lilly Nguyễn: Professor Phạm Minh Hoàng, how will deportation affect your family situation? Phạm Minh Hoàng: Deportation from this country would mean that my family will be forced to be split up. Since I have French citizenship, my daughter is also a French citizen. If I am deported, she can go to France with me or at a later time. However, my wife, Lê Thị Kiều Oanh, is a Vietnamese citizen. She has to stay back to take care of her older brother, who is a disabled South Vietnamese war veteran. He was wounded during the Tống Lê Chân battle in 1973. My brother's situation is critical, he is almost blind, almost deaf and paralyzed on one side of the body. He needs constant home care assistance. In addition, my wife also has to stay back to take care of her elderly mother who is 80 years old. These are the challenges that sum up the difficult situation I face. Lilly Nguyễn: Why does the government consider you a national security threat? Phạm Minh Hoàng: According to Việtnam’s constitution, they charged me with violating national security, but they haven’t actually convicted me of anything at all, and yet, Foreign Ministry spokesperson Lê Thị Thu Hằng still declared that I have violated national security. Secondly, what exactly is violating national security? What action is that? If you or any of the listeners followed my case in the past, I previously served 17 months imprisonment and three years of house arrest. After that period of time, I'd say my activism fell under the category of “light”. I wrote blogs and articles, I continued to express my views on issues like democracy, corruption, environment, territorial sovereignty. This is something that anybody could do, and to be honest, everybody should do — it’s our responsibility to express those views. Especially as an educator, even though I am no longer able to teach, I still have these rights, as well as the right to express my perspectives on the state's education system. My actions have been peaceful, and I never use vulgar or inflammatory speech. 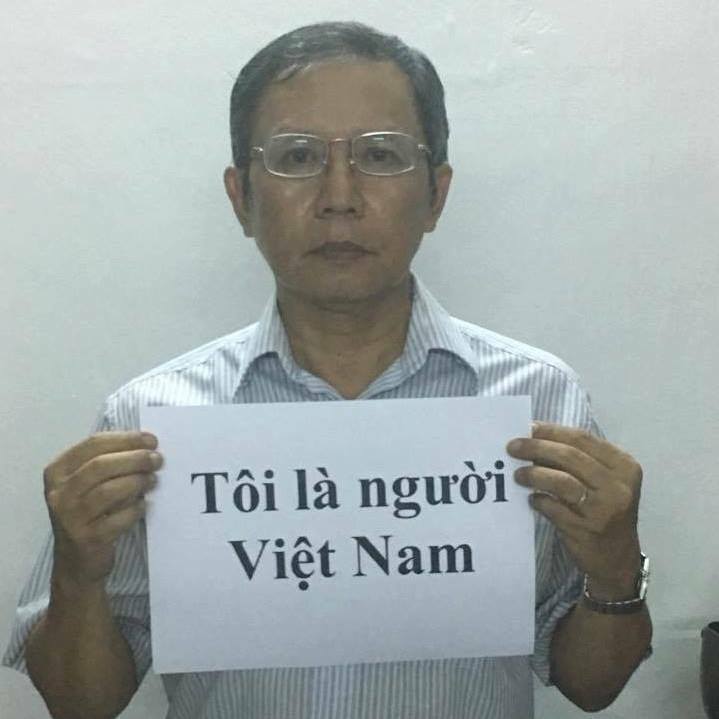 So I've shared this information with my friends and family, as well as with current and former activists, and they all agree that the government is targeting Việt Tân, as I was previously convicted as a Việt Tân member. And after I was released, I still continued to write, so they just claim that all of those actions are for Việt Tân. We can call this type of intimidation attempts to deter and punish — that is their language — anybody that has any association with Việt Tân, and of course punishment of the organization itself. Lilly Nguyễn: You left Việtnam in 1973 and eventually came back in 2000. Why did you decide to stay in Việtnam? Phạm Minh Hoàng: My decision, I think, is very normal. Every Vietnamese has the wish to live on the land that he was borned and raised. Like everyone, I also wish to live, to work and even to die here, that’s normal. My wish is very strong, and I think it will overcome all obstacles. Why are there people who want to leave Việtnam? I think they leave reluctantly, because they too, like everyone else, love their homeland. I know many people who want to go live abroad. I also know many people abroad who want to go back to our homeland, but circumstances do not allow them. All are very sad images of our country. My choice is also a painful one. Lilly Nguyễn: During the past 17 years since you came home, have you been able to fulfill your dream to build your homeland, at least in some measure? Phạm Minh Hoàng: My dream has definitely not been fulfilled because our country is still facing many problems, from politics to the environment, health, etc. I am under no illusion to solve all of them. My country is in disarray, so I haven’t achieved my dreams. For now, I am proud and at peace with myself. During my ten years teaching at Bách Khoa University, I tried my best to be a professor- sharing with my students the knowledge that I gained abroad and during my own studies. I am proud of the fact that compared to my colleagues during that time, I tried hard to teach with conscience. I put the students above everything else, and the student’s rights above everything else. I put in a 100 percent effort to impart my knowledge to my students. That is my greatest accomplishment. Even though my career went unfinished, I was arrested and wasn’t allowed to teach, I am still proud. I still thought, as a Vietnamese proverb goes, “Man proposes, God disposes.” I did my best and Heaven decides the rest. Lilly Nguyễn: Thank you again for spending time and speaking with us on Loa. Do you have any last comments before we close? Phạm Minh Hoàng: The last thing I want to say is thank you to everyone around the world who has supported me. More than that, some have made efforts to contact diplomats to help me out. Their efforts make me feel like I am not alone in this battle. I won’t feel lonely in following days and I wish everyone good health and we will struggle shoulder to shoulder for democracy in our Việtnam.